Trying to avoid doubtful pub crawls but still interested in the beer tour in “all you can drink” fashion? Than explore the local golden liquid gems with us. 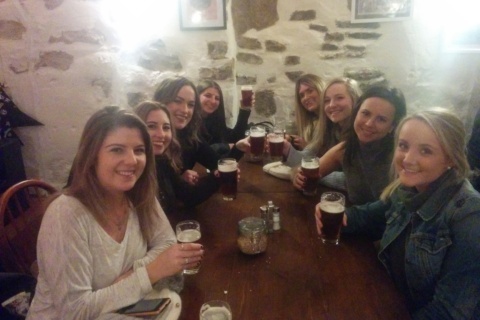 This a perfect tour option for your stag or hen do! 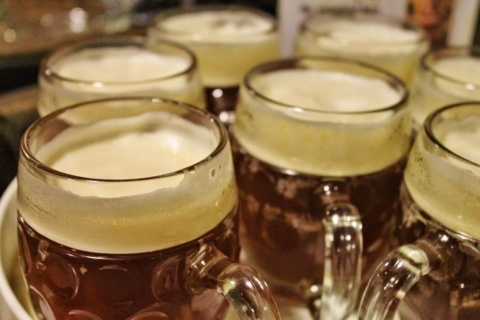 Learn how tradition Czech beer is brewed, no matter what the weather is like. 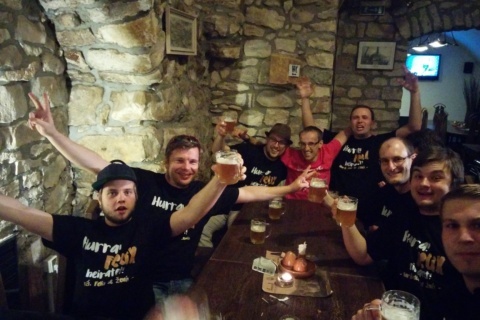 Have fun with your mates while drinking the best beer in the world, and have no worries about the final bill! Meet your guide at the meeting point. You will be given your guide’s contact information prior to the tour, so you can easily meet. 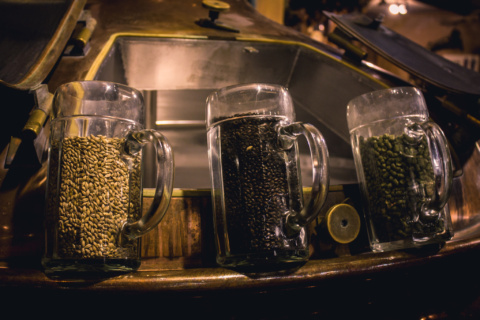 Our first stop will be at "Novoměstský pivovar" - one of the oldest and most authentic mini-breweries in Prague. 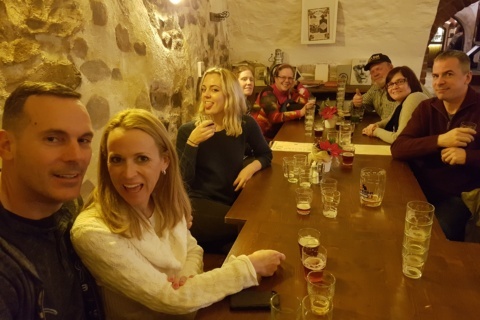 After the excursion you will understand the brewing process as presented by the local brew-master, and you’ll be given a tour of the brewing premises, including the cellar and cooling rooms. A special beer set will be served with some small surprise ;-) You will receive certificate of "brewing master" after the excursion. Additional beers of your preference will be ordered. Between stops, your guide will lead you through the magical streets of Prague while telling you some interesting stories and facts about history and the city. 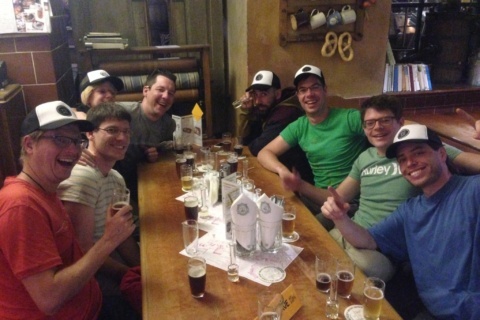 The last stop is the place where you will not only taste more delicious Czech beer, but some Czech food will be provided to help you soak up all the beer you’ve had so far. Here you can also order as many of your favorite beers as you want and ask your guide any questions. He/she will also give you some cool tips where to go next on your own if you wish to continue the night. 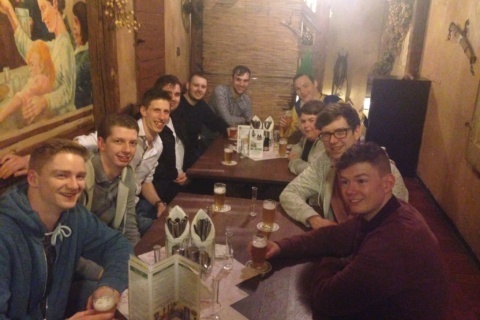 We are a team of enthusiastic beer lovers of different cultures and mentalities. You can bet that each of us will make your tour unforgettable and really entertaining. Filip is native Czech studying law and economics here in Prague. He speaks English and German. And yes, he loves beer also! “Party beast” born in Russia, but living & working in Czech republic for many years now. He enjoys larger groups the most. Vašek is native Czech studying American studies. He also spent semester directly in USA, so be sure he is always great companion. Being with us almost from the beginning makes Jan really skilled guide. He is Czech and enjoys private tours as well as larger parties. At the corner of Vodičkova and Školská street and opposite the McDonald's, there is a small square where we meet.